Call (213) 805-5301 for a FREE case review. Fighting for people’s rights has always been important to Michelle. 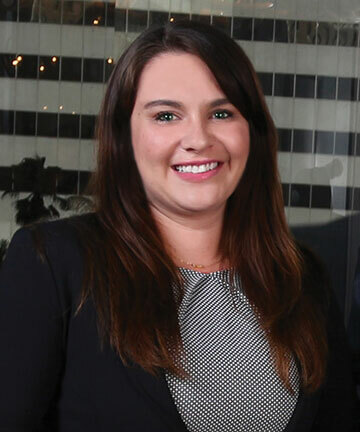 Being the first point of contact for potential clients as a litigation paralegal, she guides potential clients through the process and is happy to answer questions along the way. Michelle Patino-Patroni is an experienced litigation paralegal, after beginning her work in the legal field as a secretary, then working as a federal court clerk. Michelle has worked for both plaintiff and defense firms, and values the work that is done at the Genie Harrison Law Firm. Fighting for people’s rights has always been important to Michelle. Being the first point of contact for potential clients, she guides potential clients through the process and is happy to answer questions along the way. When she is not working, Michelle loves to take her dogs to the park, explore architecture around the city and take dance classes. She is currently continuing her education and will be transferring to Cal State University-Los Angeles in the Spring of 2018. Michelle is fluent in Spanish.